Get Massive Workout Boost With Universal Animal Rage! A Pre-Workout Booster That Will Give You All the Energy You Need! Animal Rage is a very potent pre-workout booster that is designed to give you loads of energy, focus, and endurance that will allow you to easily power through the most intense workouts. It is another great product from Universal Nutrition's quality lineup of "Animal" supplements. If you've used any of their "Animal" titled products, you'll know that these are all top notch quality products, and Animal Rage is no different. Taken about 30 minutes prior to your workouts, you will notice an amazing boost to your energy and endurance levels. This is a very potent formula and as such, it is recommended that on your first try, use just 1/2 a serving at first before moving on to the full dosage. Besides, this is always the safe thing to do to test your body's tolerance. The complex contain the most important ingredients is "endurance and performance" which contains citrulline malate, glucuronolactone, beta alanine, and taurine. Read more about taurine here. Glucuronolactone is a common energy supplement ingredient that works to lessen fatigue and enhance endurance. The key ingredients here, however, would have to be the beta alanine and citrulline malate - 2 of my favorite ingredients for enhancing exercise performance. In short, citrulline malate works to increase endurance, reduce fatigue, and it also helps to increase ATP production as well. With beta alanine (BA), some users will notice a skin tingling sensation, but it's nothing out of the extraordinary. BA also works to greatly enhance endurance and boost performance. These are 2 ingredients that I always include in my own energy stacks. Read more about it here. 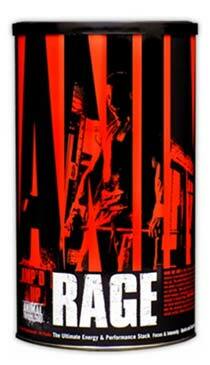 Animal rage also contains some mild stimulants as well such as caffeine as part of its Quick Energy complex. It also contains green tea extract. Rhodiola Rosea also works to stimulate the nervous system, and is known to reduce fatigue. 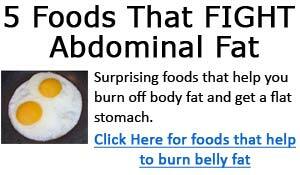 It also has fat burning applications as well. Evodiamine is quite often found in various weight loss supplements, where it is shown to help reduce body fat. Interestingly, evodiamine and vinpocetine is also contained in Animal Pump. Another great workout booster. If you're looking for an intense and effective pre-workout booster, then look no further than Animal Rage. You'll get a massive boost from it, and should be able to crank through your workouts at much, much higher intensity with ease. It does contain some stimulants as already mentioned, so it is a good idea to take just a 1/2 serving the first time. I don't have much side effects to report with this as I never experienced any. But caffeine sensitive users should beware that this contains caffeine. Some users may notice increased sweating. You should also notice an increase in your focus, and because of the beta alanine, some users may also notice a tingling sensation on their skin.